They change the original plug-in MOS tube to patch-type MOS tube in order to solve the problem of plug-in MOS tube easy to break, take up a large area, poor heat dissipation , which can improve the stability and aesthetics of the board. 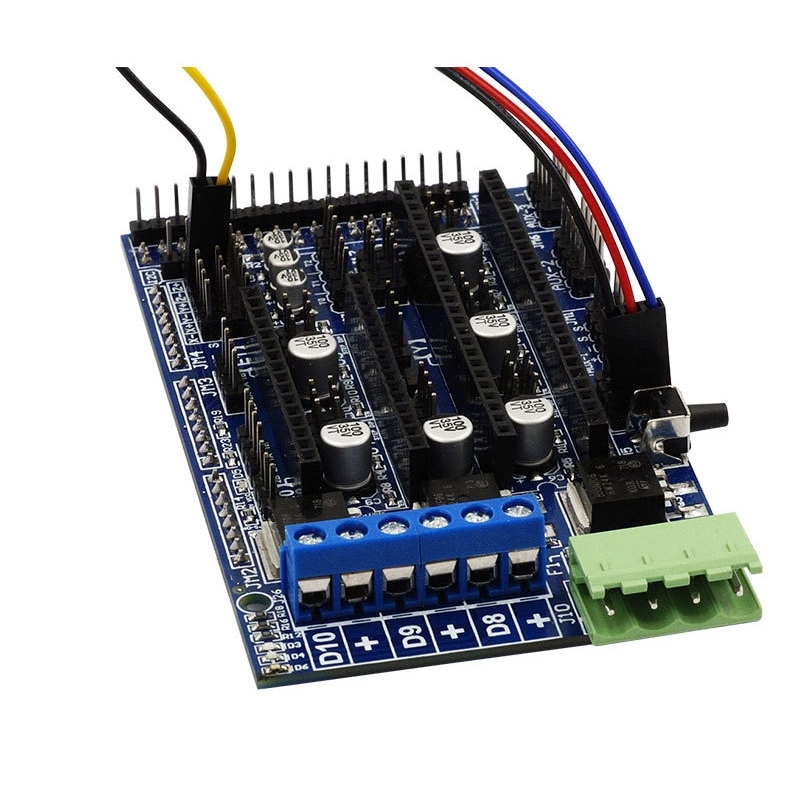 The features of multiple extended interface and replaceable parts make RAMPS1.5 become a control board with powerful upgrade capability and scalable modularity. 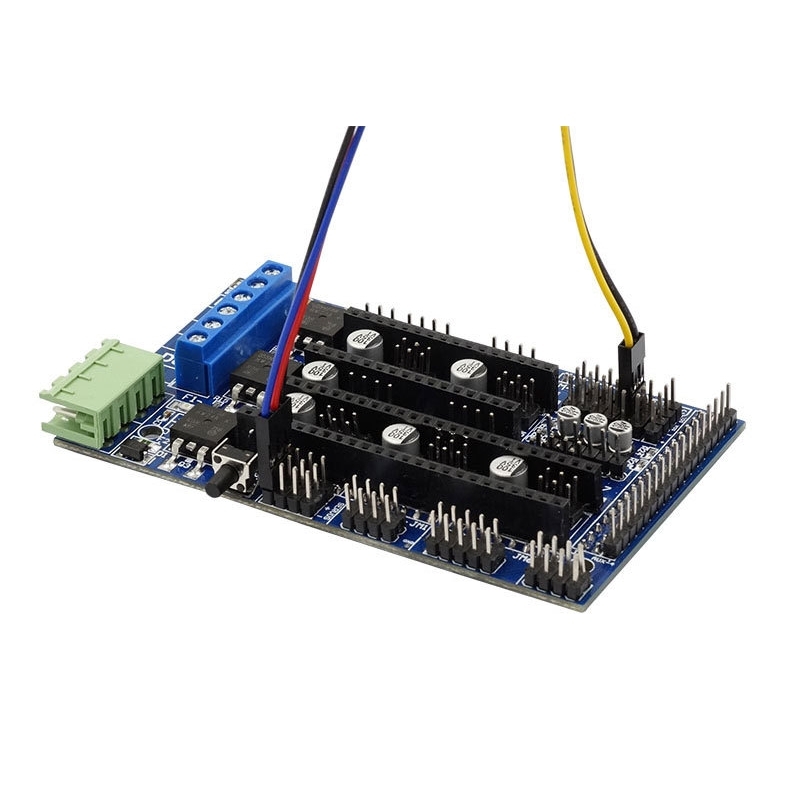 The controller board can be used when the pins on the back of the board are connected to the Arduino Mega and the front is connected to stepper motor drives. 1. It can be connected to LCD and other parts. 8. Servo connectors are used for connecting limit stops, motors and light-emitting diodes. These connectors are gold-plated and have a rated current of 3A, which is very compact.